Posted on 13th July 2017 at 10:09 am. that due to the resignation of Tim O`Connor, a vacancy has arisen in the Office of Councillor for the Parish Council. If by 1 November, 2017 (14 days* after the date of this notice) a request for an election to fill the said vacancy is made in writing to the Returning Officer at the Civic Centre, Tannery Lane, Ashford, Kent , TN23 1PL by TEN electors for the said Parish, an election will be held to fill the said vacancy, otherwise the vacancy will be filled by co-option. If an election is called, it will take place not later than 8 January, 2018. * In computing any period of time for this purpose, a Saturday, Sunday, Christmas Eve, Christmas Day, Good Friday, a bank holiday or day appointed for public thanksgiving or mourning must be disregarded. Posted on 24th April 2017 at 9:37 pm. It will be necessary to close Water Fall Road, Hothfield from 30th April 2017 for up to 2 days. The road will be closed between the junctions of Godinton Lane and Park Drive. The alternative route is via Godinton Lane, Worten Road, Etchden Road, Bears Lane, Bethersden Road, The Street, Park Drive and vice versa. It is planned that the road will be closed between 08:30 hrs and 16:00 hrs. This road closure is necessary to enable Kent County Council to carry out works in order to reduce flooding of the carriageway. Posted on 7th April 2017 at 6:41 pm. A programme of Surface Treatment of roads throughout Kent is due to start in the near future. As a result, it will be necessary to close a number of roads to allow the works to be carried out safely. All enquiries concerning this should be directed to the Road and Footway Asset Team, who are running the programme. The roads that require closures are shown below, with the extent of the closure and alternative routes. Once known, the planned dates of closures and other restrictions will be notified in advance of the works, and indicated by signage displayed on site 14 days before works are due to start. For the subsequent reinstatement of road markings and adjustment of iron works (road drain covers, manhole covers, etc) needed to suit the new surface. Closures will generally be between the times 07:00 hours and 19:00 hours each day, but there may be exceptions to this to suit local requirements. A temporary speed limit of 20 mph may be in place on certain roads for a period of about 7 days following the treatment. Where this does apply, the 20 mph Speed Limit will be clearly indicated by relevant signs clearly displayed on site. For those roads which are cul-de-sacs with no available diversion, every effort will be made to maintain access for residents, businesses and visitors, whenever it is safe to do so. This programme is subject to weather and other factors which may cause changes at short notice. Every effort will be made to keep as close as possible to the programmed dates that are notified, and any changes will be advised locally and signposted on site. The roads affected, extent of closures and alternative routes are as follows, listed in alphabetical order of town or village. The closures are to enable Kent County Council to carry out a programme of carriageway Surface Treatment resurfacing works. Posted on 1st April 2017 at 5:20 pm. Posted on 17th March 2017 at 6:46 pm. Off-peak closures of part of Egerton Road, Charing, near Ashford are planned from Monday 3rd April 2017, with estimated completion by 12th April 2017. 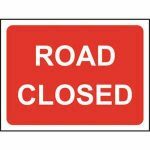 Egerton Road will be closed between the junctions with Church Hill and Tile Lodge Road, with no through access. Access to the remainder of Egerton Road continues from either direction up to where the road is closed. Closures are between 9.30 am and approximately 3.30 pm each day. The closures are to enable cabling works in connection with the installation of broadband to be carried out by Morrison Utility Services, working with Openreach. There is a possibility that the works may over-run for various reasons including adverse weather conditions or unforeseen engineering difficulties. Posted on 2nd February 2017 at 10:52 am. Notice of Casual vacancy to be filled by co-option. The Returning Officer at the office of the Borough Council has confirmed that the regulation 10 requests from electors has not been fulfilled and the Council can now fill the casual vacancy by co-option. NOTICE is hereby given that pursuant to Rule 8 of the Local Elections (Parishes and Communities) Rule 1986 the council will fill the casual vacancy by co-option. The council may co-opt any person who is legally qualified to hold such office, and who is willing to serve provided they are a British citizen, or a citizen of the Commonwealth or the European Union, and are neither the subject of a bankruptcy restriction order or interim order or have, within five years before the day of the election, been convicted in the United Kingdom of any offence and have had a prison sentence (whether suspended or not) for a period of over three months without the option of a fine. Provided the person also satisfies at least ONE of the following they may be apply. They must also be 18 years or older on the day they become nominated for election. Written expressions of interest from persons wishing to serve as a councillor need to be submitted to the Clerk of the council within 21 days of the date of this notice (excluding Saturdays, Sundays). The closing date for the written submission interest is 3rd March 2017 and following that date the council will fill the casual vacancy by co-option. Posted on 2nd February 2017 at 10:44 am. Posted on 1st February 2017 at 7:16 pm. 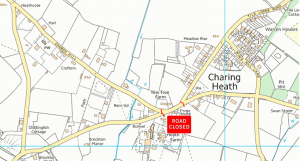 It will be necessary to close sections of Charing Heath Road and Egerton Road, Charing, near Ashford, from 15th February 2017 onwards, as shown below. Access to the remainder of each road continues from either direction up to where the road is actually closed, but there will be no through access during the works. Due to the nature of these works, it will not be possible to re-open either road outside the working hours. The timing of the phases is approximate and may possibly be affected by weather and ground conditions. Any changes to dates will be notified to local residents and signposted on site. The closures are to enable poling and cabling works to be carried out in connection with the installation of broadband on behalf of Openreach. Due to the nature of these works, it will not be possible to re-open the roads outside the working hours. It is possible that the works may over-run for such reasons as adverse weather conditions or unforeseen engineering difficulties. Posted on 13th January 2017 at 4:58 pm. that due to the resignation of Paul Smith, a vacancy has arisen in the Office of Councillor for the Parish Council. If by 24 January, 2017 (14 days* after the date of this notice) a request for an election to fill the said vacancy is made in writing to the Returning Officer at the Civic Centre, Tannery Lane, Ashford, Kent , TN23 1PL by TEN electors for the said Parish, an election will be held to fill the said vacancy, otherwise the vacancy will be filled by co-option. If an election is called, it will take place not later than 28 March, 2017.